I’ve talked about aid stations a few times and I don’t mean to beat a dead horse, but the volunteers at aid stations do a lot of work. For the past three years, my friends and I have put together aid station 13 at the Salt Flats 100, which is at mile 89.7. It’s kind of an unpleasant place as far as the course goes. It’s about a half mile below a mountain saddle. It’s really the last climb in the race and they stop you before you hit the top! Although I’m glad my aid station is not right in the saddle. This race can be very winding, rainy and snowy all in the same race. This year was no exception, although, we had the best weather this year compared to the last two. As a runner and an aid station captain, I think it’s important to have something special about your aid station. Our is pizza. We love pizza. We have a propane stone pizza oven and bake pizza right there for the runners. They can have it cold or hot. It only takes a minute to warm it up after we’ve baked it. We buy a bunch of pizza’s from Papa Murphy’s Pizza and it’s been a beautiful thing for three years. The pizza is always a hit, cheese is the favorite. By the time runners reach mile 90 your stomach is either screwed or starving. This year we also had birthday cake out there because it was one of our volunteer’s birthday. The cake did not get as much love as the pizza, which surprised me. I would have eaten it at mile 90 (I will eat birthday cake here or there, I will eat birthday cake anywhere). Maybe there was too much frosting. One of the things I find the most difficult, particularly in a smaller race like Salt Flats, is keeping broth and romen noodles warm. I wish we had a microwave. Keeping the romen simmering or warming on the stove turns everything to mush and keeping it going causes it to turn to steam and disappear. Having warm choices in the dead of night when the wind is howling and the rain is coming down is critical. Vegan and vegetarian options are necessary to have as well. Many ultra runners are health conscious and environmentally conscious. We spend so much time in nature and among the wild things of the earth, how can we not become apart of it. There are many products which are “accidentally” vegan and easy to have at aid stations: oreo cookies, sweedish fish, hummus, tortillas (no lard or sugar), fruits, and veggies of course. The strength of the human body and mind is amazing. It’s inspiring and rewarding to be able to give back to the sport I love so much. I love aid station volunteers. A Lot. They have saved countless runners who are ready to quit. They have assisted grumpy and rude runners with a smile. They’ve helped change dirty smelly runners socks and shoes. They stand out in the cold and rain patiently waiting for the last runner to come through. 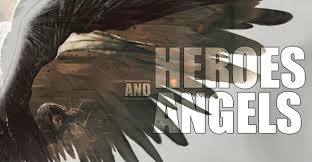 They are heroes and angels. Last year I decided to make heroes out of my running team. Well, they were already my heroes since they are my ultrarunning crew and pacers, but I wanted them (and me) to be heroes to other runners too. We decided to man aid station 13 at mile 89 of the Salt Flats 100. I soon found out just how hard it is to pull off a successful aid station. There is actually a lot involved if you want runners to leave feeling as best as they can at mile 89. Race directors supply their aid stations with as much as they can depending on the money from registration after other costs and sponsors for the race. This means supplies can very greatly depending on how big and well known the race is. Salt Flats 100 is not a big race. It doesn’t fill up days after opening registration. Most years it doesn’t fill up at all. Because of this, my team brings a lot of our own stuff to create a refuge for the runners. Runners don’t ask for much at mile 89. What they want is a bit of shelter, food, and encouragement. Shelter: my team puts up two big canopies and walls off three and a half sides to create a shelter for the runners. Salt Flats 100 is run in the west desert of northern Utah. If you’ve seen the movie “Independence Day” the scene where Will Smith is dragging the alien through the desert on a parachute was filmed at the Salt Flats. It’s barren and exposed. There are mountains, but those are also barren and exposed. Food: by mile 89 runners are either hungry and want real food or they are having significant stomach issues and would rather die than eat food. Most are in the former category. My team brings out a big camp kitchen and a propane pizza oven. We’re able to make pizza and quesadillas in the evening and night and then breakfast burritos and pancakes in the morning. 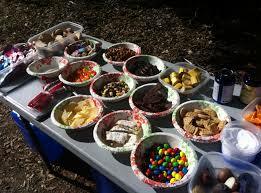 We also bring the snacks we love to have when we run. Encouragement: the “You’ve got this” attitude is a must for aid station volunteers. My goal is to never have a runner drop at my aid station. It gets ugly out there and pushing forward when your exhausted, want to vomit, and have torn up feet is tough. The front of the pack runners come through strong and don’t stay very long. The longer the runner is out on the course, the greater the beating their body takes. It’s harder to go slower. I know it’s the same distance, but it’s not the same race. I mean think about it, the back of the pack is usually less experienced, less trained, or injured. Their mental state has been going up and down for miles and hours. Their stomach is likely to be in bad shape because of the duration of effort being pumped out. They are more exhausted. They’ve been exposed to the weather longer. They’ve been on their feet pounding away with sweat and dirt in their shoes for much longer than the front of the pack. Volunteering for an ultra aid station is rewarding and it’s hard work. 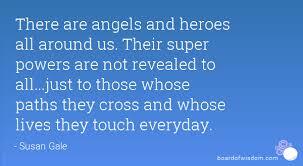 Thank you to all the aid station heroes and volunteers. 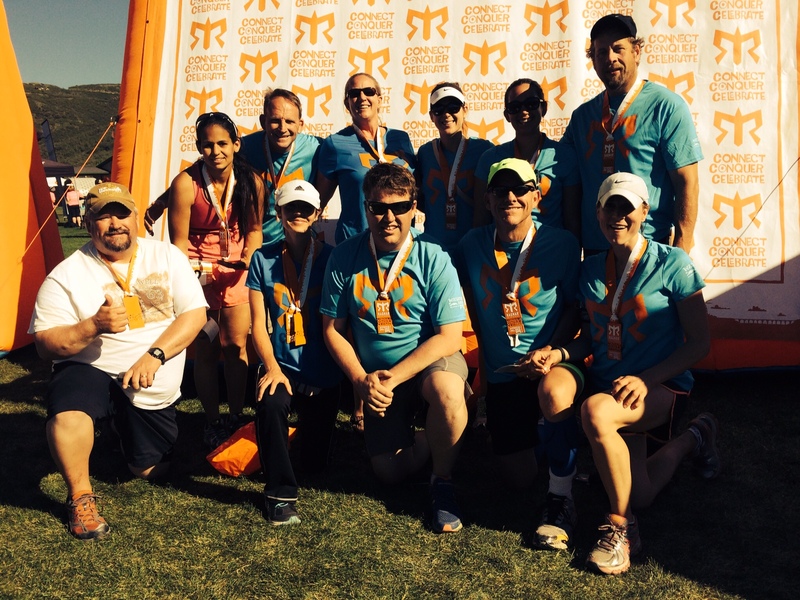 My running team volunteered at the Salt Flats 100 endurance race this past Friday to Saturday. I ran the Salt Flats 100 last year during the epic wind and rain storm. Thankfully, the weather this year was much better. We did have some rain and wind, but it was nothing compared to last year’s run. My team was assigned to man aid station 13 located at mile 89.3. We wanted our aid station to be the best out there and we wanted to provide the runners with everything they needed at that point in the race. This took a little thought on my part recalling what I wanted and needed during my 100 mile races at mile 89. At mile 89, many runners just want to be done. They are tired, hungry, and hurt. We set up two canopies with sides to hold in the heat from our propane heaters. We had a full kitchen in one canopy to provide the runners with quesadillas, romen noodles, coffee, and hot chocolate. We had Christmas lights strung up around the canopies and other lights illuminating the entire aid station. The runners drop bags were kept dry under tarps. Inside the other canopy were chairs, the heaters, a table with fruit, chips, water, power aid, coke, mountain dew, ginger ale, cookies, candy, peanut butter and jelly sandwiches, gu, salt tablets, salted potatoes and various over the counter medications. We were ready for any blister or foot issue the runners presented with. We had massage tools for tight muscles and blankets to wrap cold runners. There were fourteen of us out on the top of the last climb in the race waiting for runners. From my team I had Swiss Miss, Spongebunny, EZ, J$, Gear Gnome, Cousin Jon, and myself. There were four people from the ham radio team and three other volunteers. We massaged them, filled their water bottles, brought their drop backs to them, and packed them full of snacks for their last ten miles. The greatest thing we had at our aid stations was the portable propane pizza oven. We were able to bake fresh pizza (take and bake pizzas) right there for the runners and volunteers. We didn’t expect any runners before 10:00 pm, but we arrived at 430 pm to set up before dark and before any rain began to fall. Forty-three runners started running Friday morning at 7:00 am. Just under thirty runners came through aid station 13. No one dropped out at our aid station. We tried not to let them linger for too long because body temperature drops quickly when you stop running. The first runner arrived just before midnight. We went a little way down the road to meet him as he came in, telling him about the options available and asking what he needed. The look we got when we told them there was fresh baked pizza was so worth the cost of getting the oven and pizzas. We’d usher them into the warm space, sit them down, and set a piece of warm pizza in their waiting hands. Cost of the pizza and oven $300.00; The appreciation and joy on runners faces at mile 89, priceless.